Entrepreneurs and idea people in the Atlanta area, you’re invited to a roundtable discussion on what it’s really like to build your own business. February 21, 7:00 to 10:00pm, bring your stories of entrepreneurship — the good and the bad. We will compare notes on the most pressing challenges for new businesses, and of course, share our successes. Everyone attending will be asked to talk about their own experiences. We’ll also talk about the lessons we’ve learned that can help other entrepreneurs make smart decisions and avoid pitfalls. 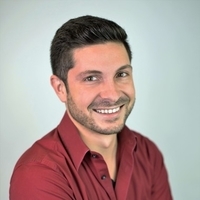 Your host is Justin Michela, a Toptal developer and Community Leader for Atlanta. This is an excellent opportunity to invite a colleague who may be interested in meeting people from the Toptal community. However, attendance is very limited. Please contact Justin directly to inquire about space.